Doing the work: Practical approach to Data Preparation for Advanced Analytics and Machine Learning. What separates an average data scientist from a great one? It isn't the algorithms or methods that they employ, it is how they handle data that separates them. Great data scientists almost always have a very rational and well-organized approach to acquire, structure, transform and screen data for their analysis. The other aspect that separates the great data scientist is their ability to creatively address challenges found in the data by creating interesting features that tease out predictive performance. Ryan Schmiedl wears two hats at SAS. Not only does he lead SAS’ Global Technology Product Management group, responsible for a $2.5B+ portfolio of software and solutions, he also is the Division Head of SAS' Fraud and Financial Crimes Research and Development group. A group that has grown product revenue by 45% under his leadership. Since joining SAS in 1996 Ryan has been responsible for conceiving, developing and bringing to market over a dozen solutions and tools for SAS. Ryan holds a BS in Industrial Management and MBA from Carnegie Mellon University. He currently resides in Raleigh, North Carolina. 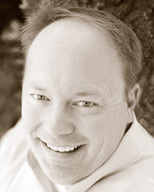 Mike Ames leads SAS' Data Science and Emerging Technology Product Management group. Mike started the group in 2011 with three PhD statisticians and a graduate intern, initially focused on SAS' in-memory technologies and integration with Hadoop. Today the group has grown over 5 fold and includes a global research and development team focused on bringing new emerging SAS technology to market. 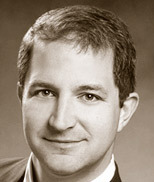 Mike holds a BBA in economics and did his graduate work in applied economics and computer science at the University of Georgia and earned an MBA from the University of North Carolina Chapel Hill. He currently resides in Raleigh, North Carolina.